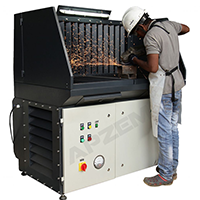 Fume extraction system | Apzem, India. 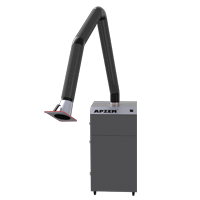 Apzem Fume Extraction system In any manufacturing industry fumes and dusts produced at different machines and different sources / locations. 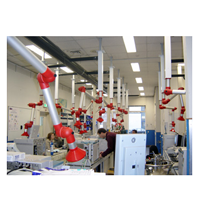 In certain cases providing separate fume extractors for each fume generating sources may not be an economical option. In such cases a centralized dust / fume extractors with properly designed ducts and hoods will be a more economical and effective option. 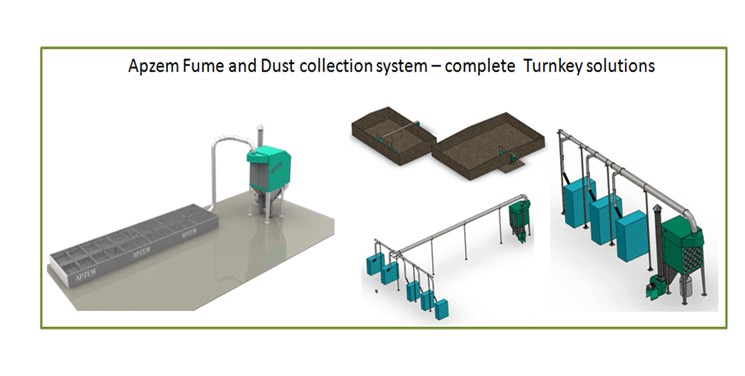 Apzem with a deep knowledge in fume & dust extraction and filtration solutions, other Air pollution control domain undertakes complete dust & Fume extraction turnkey projects to its customers. Kindly contact us to work out an economical solution to all your dusts, fume and air pollution control needs.